Spectra’s filing last Friday with FERC included this PDF overview map that shows more detailed context than was visible in the photographed versions we had before. JPEG image appended for convenience. 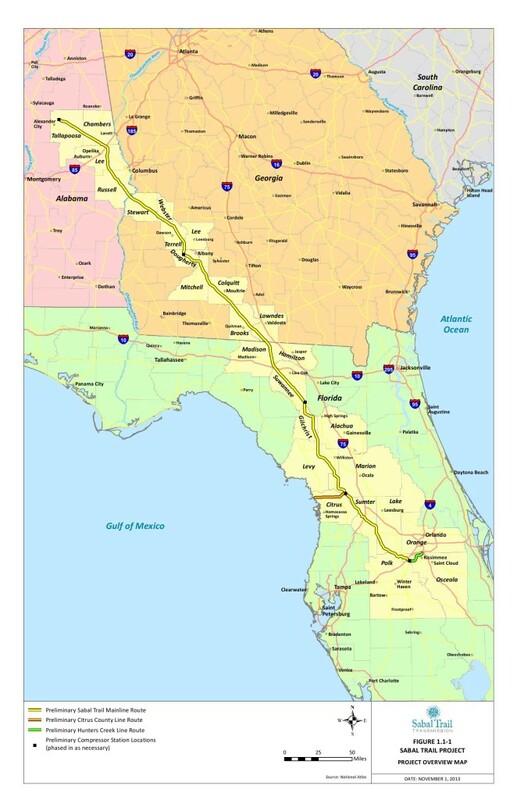 More maps will appear in the Draft Resource Report 1 page, extracted from SABAL TRAIL PROJECT, DRAFT RESOURCE REPORT 1, General Project Description, FERC Docket No. PF14-1-000, Initial Pre-Filing Draft, November 2013. 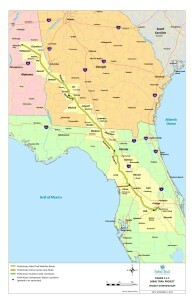 I don’t see the proposed shunt pipeline to fire the proposed new FPL “green” electric factory next to the Seminole reservation. We’ve treated the Native Americans atrociously; let’s not gas the Seminoles.